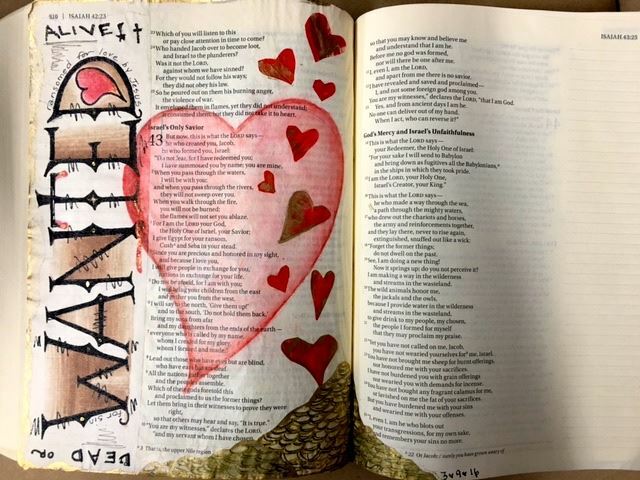 Learn tips for adding art and personal messages in your journal or DIRECTLY in your Bible (bring your own Bible if you wish or use our practice pages)! We'll go beyond just illustrating the words - exploring ways to use tools with your favorite verses that help you experience them instead of just reading them. You'll get to play with fun art techniques . . . using paints, gels, watercolor pencils, stamps, stickers, lettering tips, coloring tools and more. Once you take this introductory retreat, come every month to create and share your stories of God in your life! Come be part of this regular group and get to know each other -- whether you have something to share or not! Be uplifted and get ideas for using art to stay close to God. Plus use the studio supplies to work on your art.